<>Presentations / Letters (2013-2015) Support PSA! GIGS, Ghana! Use the Contact Form and Send Us Information, Tips, Greetings, Etc. 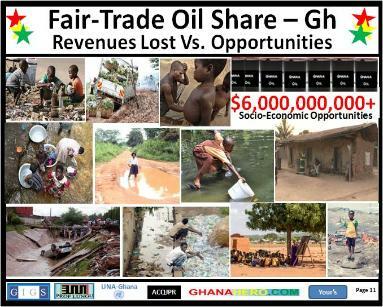 >IEA Hugs Bawumia's "Bloated" Case As Ghana Loses $6 Billions! to launch this very significant unconventional gas exploration project. Hot Updates: Free/Safe Downloads. Support Ghana. 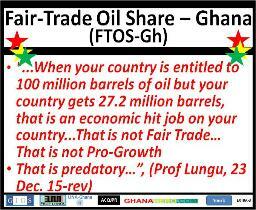 HOT: Tell us 17% isn't your "Better Ghana" agenda, Mahama! (2013) . So Ukraine can have PSA, but not Nkrumah's Ghana? happen on the People of Ghana. In fact, it has already occurred. Ghana received just 17% out of 100. (or more) the PSA would have secured for Ghana. >That is not Fair Trade! > That is not Equity! >That is not Economic Growth or "Inclusive" nothing! 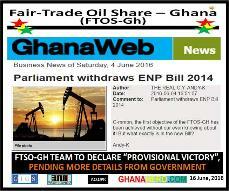 the Exploration and Petroleum (E&P) bill. Predation, and Lack of Transparency? 5. 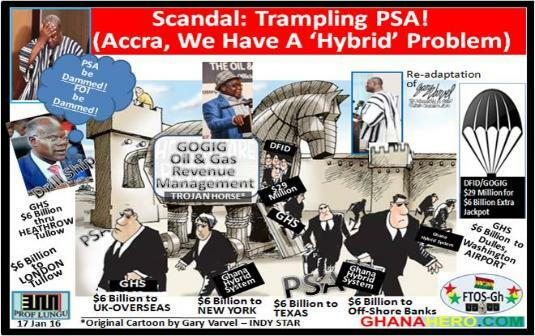 Public Interest Accountability Committee (PIAC) (Professor Paul K.
GOGIG "Revenue Management Trojan Horse"? Hybrid System contracts are predatory, and potentially fraudulent? when Ghana received just 17%? > IMANI , when we nibble at edges we bite our lips asking for bits! 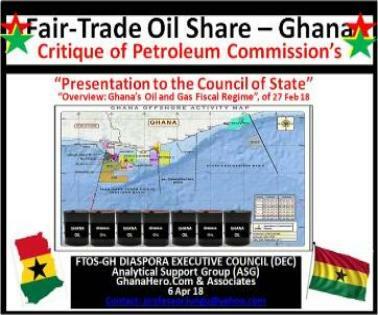 > Mr. Mahama, Tear Up NPP-Cute "Hybrid System" Contract for Ghana's Oil (1.0)! 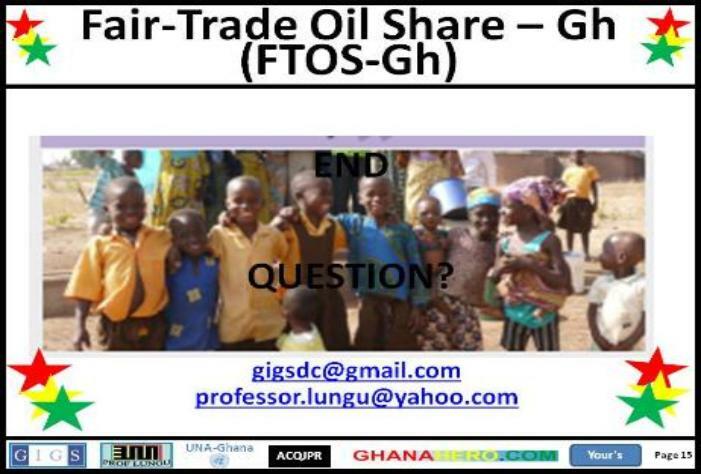 > Mr. Mahama, Tear Up NPP-Cute "Hybrid System" Contract for Ghana's Oil (2.0)! CREDITS: *Original cartoon and credit / Gary Varvel, Indy Star, www.indystar.com/staff/6361/gary-varvel/ ). Management'..." (Prof Lungu, 18 Jan 16). 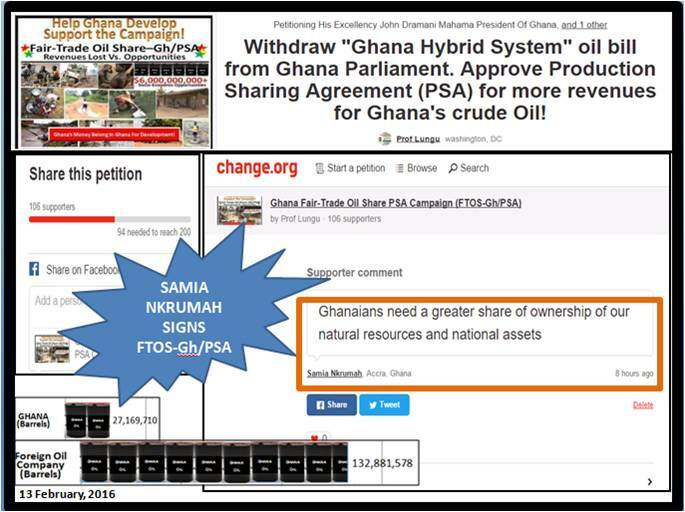 <>HOT> Officials who love Ghana must read Solomon Kwawukume's Book :"
Ghana's Oil: Towards Maximum Benefits"
You Have To See This To Believe! <>There Is Eminent Domain, and there are Big Time Losers! <>10 Wildest Aircraft Junkyards in the World - Mojave Top! 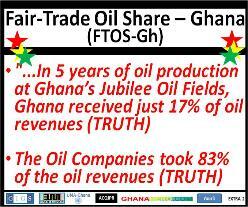 Experts: Mahama-Dagadu-Buah 2016 Oil Bill Is For Corporate Vultures! <> It's Official: PC’s Hybrid System's Rotten "Tuo-Zaafi" Fiscal Proverb!! Campaign Update. (Get Copy of Update). (GRA) for lost "royalties" and additional unpaid taxes totalling $902.45M during the same period. (Read more and download documents using links below).